While they did tear the stand at Hazel Park down, they have since replaced it with a smaller, more modern facility. There is seating for approximately 300 along with wagering windows and a large area inside on the lower level in case gaming is ever permitted in Michigan. (Now that Granholm is on the out, we have a slim chance). What many do not know is that Hazel was originally planned to be an auto racing facility. That fell through, and horse racing became a reality. I do not need to drive by anywhere, sir. I am at one of the three harness racing facilities in Michigan and can be found in the backstretch on any given live racing day. Harness racing is still here! Much to Granholm and the downtown casinos's dismay. Not sure where people here get thier info. However, Northville Downs is still open, racing from October thru April each year. This is a HARNESS RACING facility. Hazel Park is also a HARNESS track, which races April thru October. Northville is 1/2 mile, and Hazel is 5/8 mile. It was never CLOSED. Has been open each year since it was built back in I beleive 1949. As for Hazel, they tore down the grandstand a few years ago and replaced it with a smaller version with room inside for slot machines, which never happened, so the inside is still unfinished. Just another product of liberal democratic leadership of Gov. Jennifer Granholm. Besides sending all of the jobs out of the state she is also single handedly running the horsemen out of the state. An industry which keeps hundreds of men and women working in this state. Anyhow, just want to provide the correct information on these two tracks. I am at Hazel regularly for work, and occasionaly visit Northville, but Hazel has always been my favorite, since I was a child. And, no, we do not need Stock car racing at HP. That is the dumbest thing I have ever heard of. That is what MIS is for. 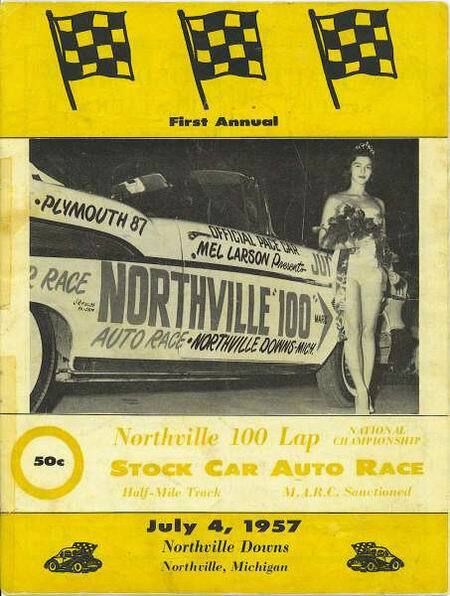 Yes, they do still race at Hazel Park, but there was a MAIN grandstand (like what was at the State Fair) that ran along the frontstretch. they tore that down and now the only main stands are the ''clubhouse'' stands (in turn one). go by and check it out. Hey randy, what do you mean tearing down the Grandstand, they still race there don''t they. Covered grandstands would be cool cause fans could keep warm, racing could go on for October. Sean. funny you should mention Hazel Park Race Track. I have thought for YEARS (20 or 30 at least) that it should be made into a speedway. Perfect location, parking, size and lighting. Just imagine that. could definatly create a Double O there. and keep the pond in the infield. When they started tearing down the grandstand, I thought, wow. no front stretch stands, bummer. But would be cool. good for that area too economy wise. Oh well. just another dream. Wait a minute. 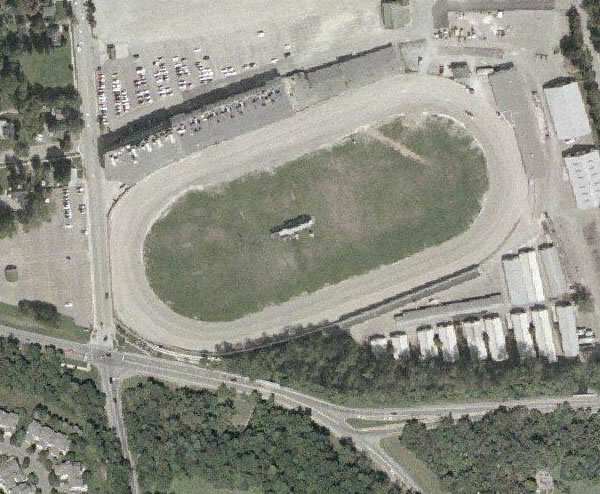 isn''t there a track like that - it has both Horse and Stock car racing. I think there is. oh yea NASCAR is using that idea at DOVER and I think it is working out pretty good for them. I would have to say, jsut imagine the turn out of competitors!!!!. Should be more here and at Hazel park. It''s a natural. Brian Norton. that is awesome you have that program / pic. thanks for sharing those. 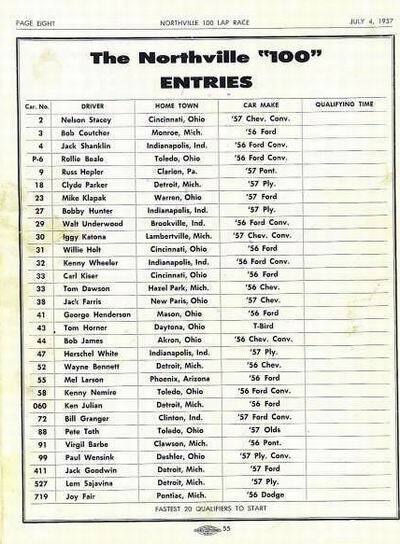 I never knew there was a stock car race there. I only remember this as a Harness / Thoroughbred Horse race track. My dad use to take me here when I was a kid. I never heard of any stock car races there.